Pfc. Fred M. Linck, infantryman, C Company, 1st Battalion, 25th Marine Regiment, Regimental Combat Team 5, was shot in the head and walked away from the incident. 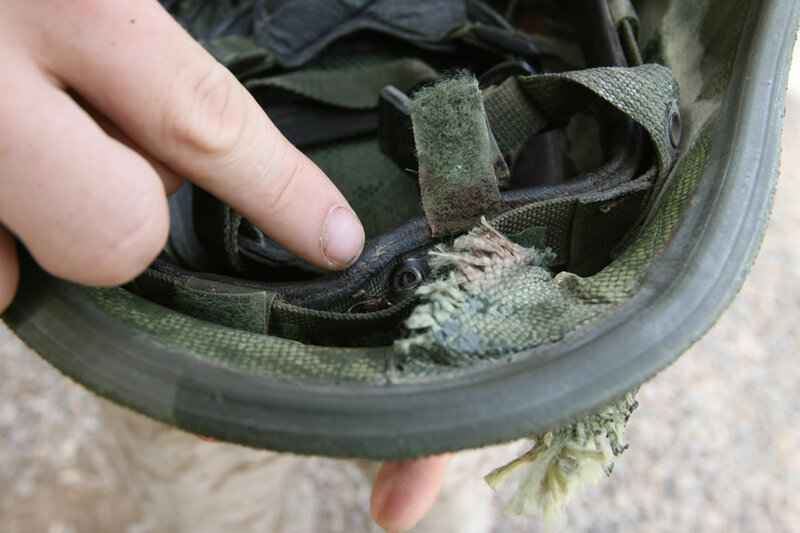 The enemy round struck his Kevlar helmet, which saved his life by stopping the bullet from penetrating his head. A piece of fragmentation caused a small laceration to the Marines forehead too small even for stitches.